Everyone knows what it’s like to need a helping hand. It’s not uncommon in the U.S. for people to need assistance paying bills, or taking care of unexpected expenses. This also applies to the residents of Anaheim, CA. While it may be a beautiful Southern California city with a lot of entertainment, it also has an unemployment rate 33% higher than the national average. (1) But there’s good news, if you live in Anaheim there are ways to get the assistance you need to live a fulfilling life. If you live in Anaheim, you’ve surely seen ads for payday lenders. They advertise as “cash advance loans”, promising “quick cash in Anaheim” and “easy financial solutions”. But if you do your research, you’ll find that the dangers of payday loans are not worth the fast cash that they promise. If you’re dealing with a pesky payday loan in Anaheim, you can find a way out. Law firms like Fitzgerald Campbell have attorneys that specialize in California Payday Loan Harassment, and they even offer free consultations. OppLoans’ personal installment loans can give you the lower rates, flexibility and credit-building loan that you’ve been looking for. 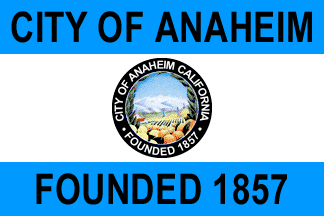 If you need a cash loan in Anaheim, consider an OppLoan. With OppLoans you will always get the fast, flexible, fair and five-star service that you deserve. Apply online and get your loan as fast as the next business day! And with OppLoans’ flexible payments and fixed rates, you’ll always know how much you’re payment is, and we’ll make sure it fits into your budget. We offer personal installment loans from $1,000 to $10,000, and repayment periods between 6 and 36 months. We also never charge prepayment, origination or application fees, and our interest rates are typically 70-125% lower than other personal loans. Call us today and find out why customers rate us 4.9 out of 5 stars.